H2>The problem of graffiti is a prolific one, plaguing many metropolitan areas throughout the world.<>/h2> The consequences of this crime also carry a heavy toll. Destruction of private or public property, caused by the defacing nature of graffiti, is the driving force behind the criminal charges associated with those convicted of the crime. These consequences carry a strict no-tolerance policy in most cities throughout the United States, because cities want to deter graffiti. 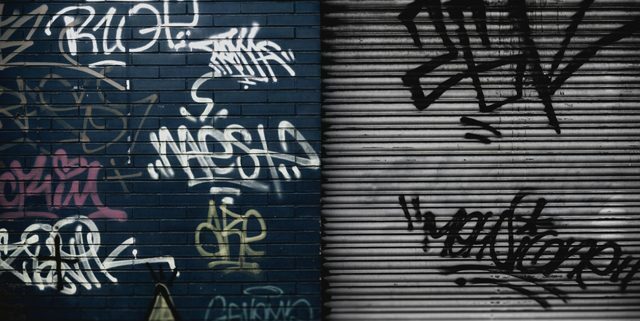 Because graffiti is such a massive, unruly problem, legislation designed to prevent its occurrence has seen stiffer fines and penalties in recent years. Mandatory minimum fines can start as high as $1,000, and is punishable by no less than six months in jail, or more, depending on the severity of the damage caused by graffiti. These fines often then go to budgets allocated for graffiti abatement in cities where budgets are constrained. In addition to these fines, community service is also dealt to those convicted of property defacement where the individual is assigned to clean up graffiti areas. This community service acts as both a humbling experience for the perpetrator, as well as cuts down on the cost and resources used to clean up the graffiti. Through the hard work of graffiti abatement, those convicted of graffiti charges are much less likely to become repeat offenders of this crime, helping to deter further recurrences. Because most acts of graffiti and vandalism in general, are committed in areas and at times when there is less of a chance the suspect will be caught, the apprehension of suspects by law enforcement is highly unlikely; leads are very rarely followed up on. If the graffiti was committed on a private residence or business then the responsibility of cleanup falls solely on the property owner, the victim of this type of crime. Using specialized anti-graffiti surveillance cameras, suspects committing this crime can be easily identified. Evidence footage captured by these cameras is then used in cases to successfully prosecute individuals charged with property defacement. These cameras also act as a graffiti deterrent when the public is well-informed of their intention and placement. Deterrence can be accomplished with community awareness that the area is being watched and hefty fines that include community service.